Paul Tissandier was born in Paris February 19, 1881. He died on March 11, 1945. 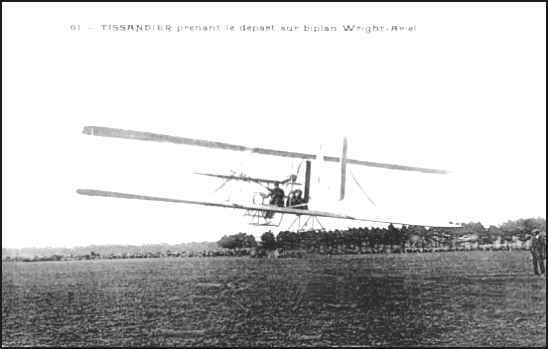 He was the son of Gaston Tissandier, who was also famous in ballooning & airships history. Paul was first a balloon pilot, secondly an airship pilot and finally a plane pilot. He was the second pilot-pupil of Wilbur Wright! He was granted License n° 10 bis on September 16, 1909. Together with Count de Lambert, he was involved in the construction of hydro-gliders. Editor's Note: If you are interested in learning more about Gaston's many accomplishments, you will find hundreds of links to websites from a search on his name. ONLINE RESOURCES Using the Google search engine on "Paul Tissandier", you will find about 265 links. One of the most impressive and rewarding is the following. 1900-1913 "This site is dedicated to the history of aviation in Europe from the earliest powered flights to the outbreak of the First World War. It is not in any real sense a history of the invention or development of the Aeroplane, but more a celebration of the brave and colourful pre-war pioneers, who to an adoring public really were 'Magnificent Men'. Here you will find details of some of their record breaking flights, competitions, races and of course the amazing aeroplanes they flew. There are other excellent web sites dealing with the Wright brothers and their rivals and so this site just concentrates on the European scene." You will find comprehensive sections devoted to: Balloons, Airships, Zeppelins, Santos-Dumont, Henry Farman, Wrights in France, The Channel, Rheims, London-Manchester, Chavez Flies Alps, Round Britain Race, Roland Garros, Aerobatics, Europe to Egypt, The Men, The Machines, Links & Bibliographies. To learn more about Paul Tissandier, click on the title and click on "Rheims." English Translation "The Aéro-Club of Bearn has a prestigious past. 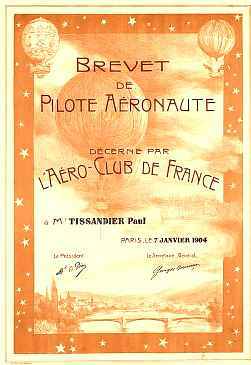 It is the "leader" in the French history and the world history of Aviation and "PAU'S BETH CEU" (Pau's beautiful sky), sung by the poet Darrichon, is not foreign to it." On this site you will find the story of the Wright Brothers and their contract to train three pilots. Their names were Count de Lambert, Paul Tissandier and Captain Lucas-Gérardville. 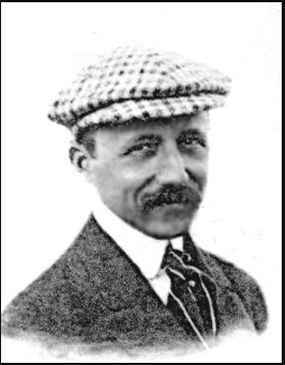 To read the whole story of the founding of the first aviation school in France, and the role of Pau in the development of aviation in France, click on the title. I recommend that you visit some of the other sites so as to learn as much as is available on the life and career of the Paul Tissandier. Paul Tissandier died in Paris on March 11, 1945.